Fresh flavours topped with fun and frolics. Enjoy some trendy and speedy cuisine. 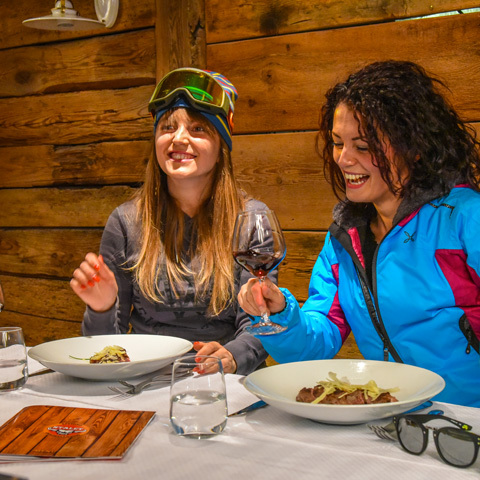 Take in the sun and music as you enjoy your lunch on the terrace overlooking the slopes. Liven up your dinner with friends in the vibrant and bubbly atmosphere. Clink glasses with a friend to the sound of a live rock performance. Every day of the week the restaurant offers a different promotion, and the challenge “man vs bull”: will you be able to eat a 1kg hamburger in 20 minutes? In the gallery you find all the promotions of the week. Type of cuisine: steak house / pizzeria. Stalet is next to the bottom of the Carosello 3000 San Rocco gondola (no.11). The restaurant has a spacious interior and large outdoor terrace. The modern menu includes delicious burgers (including Mountain Size), pizzas and grilled meat. Every day of the week the restaurant offers a different promotion, and the challenge “man vs bull”: will you be able to eat a 1kg hamburger in 20 minutes? In the gallery you find all the promotions of the week. You can also get food to take away. The restaurant offers free Wi-Fi. 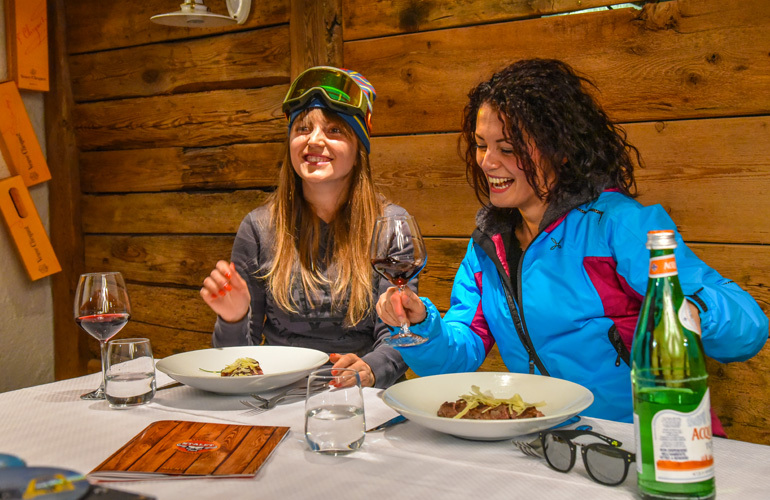 Stalet is also the largest après-ski location in the whole resort. Themed parties, DJs, singers and musicians – there is something different every day. The party kicks off in the early afternoon. The Stalet restaurant is next to the bottom of the Carosello 3000 San Rocco gondola (no.11), right at the bottom of the slopes.